An absolutely staggering new discovery could completely change how we understand the evolution of mankind, and when our ancestors arrived in Europe. Scientists have made a remarkable discovery at an excavation site near Mainz, Germany, that could totally upend our understand of early humanity, as we reported recently. And it’s the details of this amazing finding that are truly extraordinary, and head-scratching for scientists who are coming to realize they may have been way off about when early humans first migrated. It’s difficult to overstate just how far off scientists may have been. Current scientific consensus is that humans evolved from apes in Africa millions of years ago, and didn’t migrate outside of the continent until about 100,000 years ago, when they started moving into the continent of Asia. Widespread migration wasn’t expect to take place until 60,000 years ago or so. 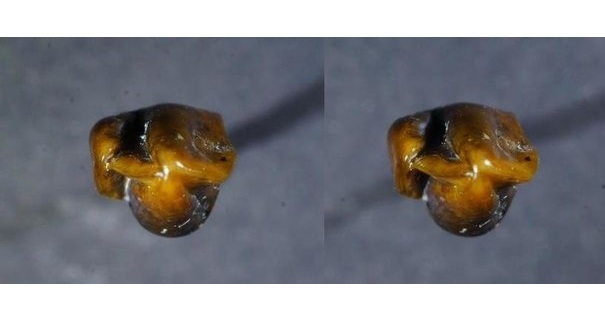 And yet, these teeth, which scientists are confident are from a hominin, were discovered at a site in Germany despite being dated at 9.7 million years old. That would mean scientists are off by not thousands of years, not hundreds of thousands of years, but millions of years. It’s a bizarre discovery that scientists will be seeking to explain.